Left: Mr Sean Tsung (Science), Miss Charlotte Butler (Social Sciences), Mrs Nina Lathey (Science), Mrs Holly Watson (English), Miss Lizzie Field (Mathematics), Miss Vanessa Price (Social Sciences), Mr Tony Kwok (Science), and Mr Puvi Nadason (Physical Education). 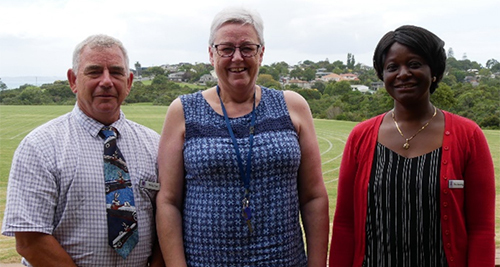 Left: Mr John Luzak (Technology), Ms Elaine Fleet (English), and Mrs Maryam Boateng (Hospitality and Food). 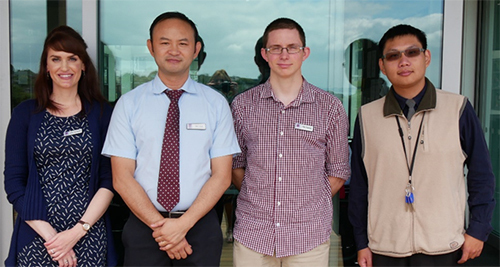 Left: Ms Jess Harrison (Dance and Drama), Mr James Lowe (Mathematics), Mr Robbie Brown (Mathematics), and Mr Danny Chang (Science).